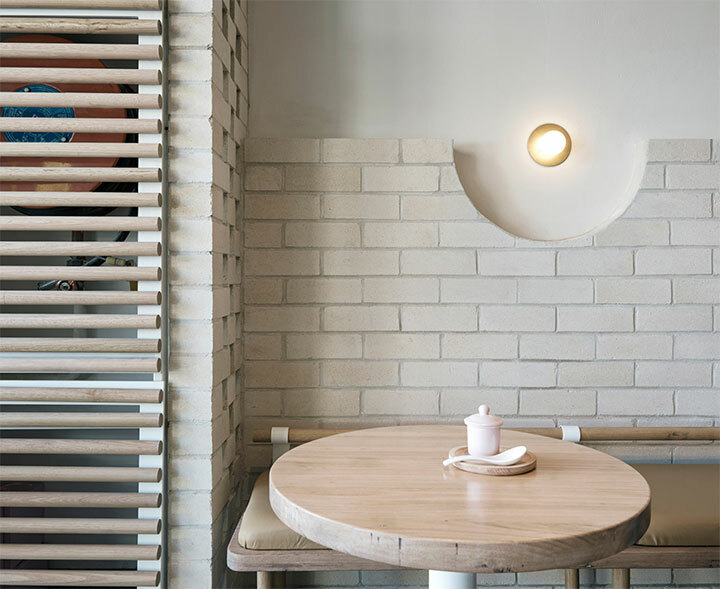 While the use of vibrant colors and daring chromatic combinations works in raising the appeal of desserts stores, so does a minimalist approach or a drastically reduced color palette. 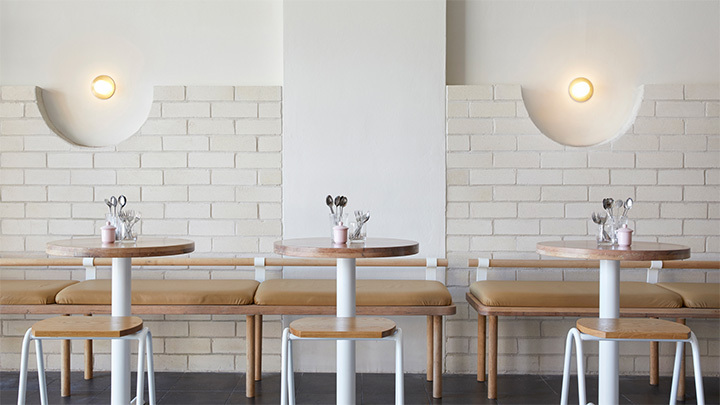 A great example is The Dessert Kitchen store in Sydney, the creation of Australian designer Matt Woods. Here, the minimalist approach is not just a simple design choice (partially driven by a limited budget), but one with deeper connotations. This Chinese cafe chain concentrates on healthy desserts with minimal amounts of fat and sugar, so reducing the design load mirrored the simplified process of clean dessert making. 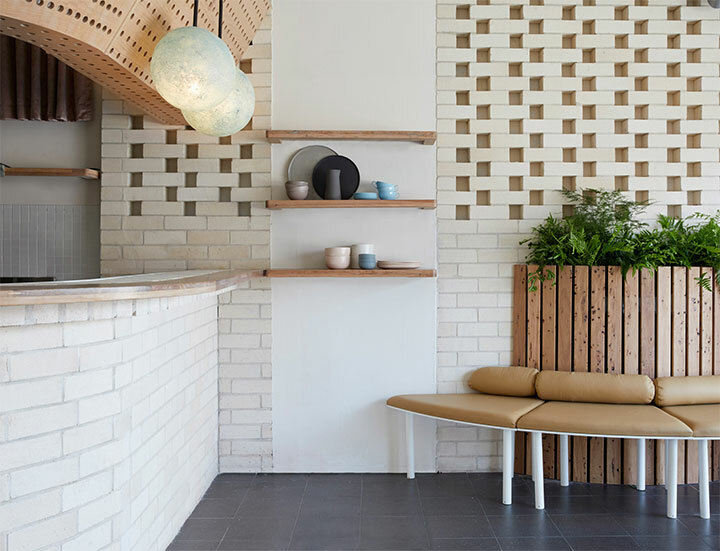 White bricks create a light, luminous background for the functional and decorative elements in the store, yet the different ways they are used balance their unassuming character. 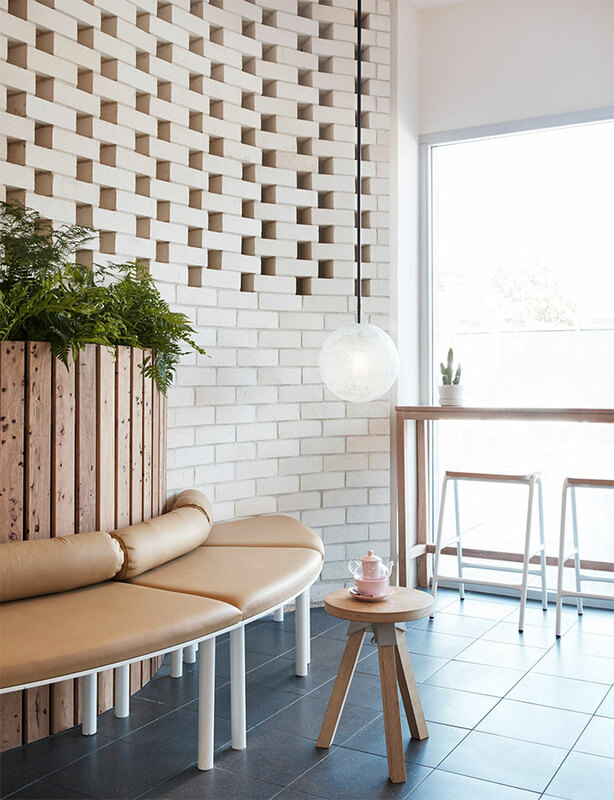 Tight rows of bricks envelop the counters and walls, sometimes stopping at mid-height, sometimes turning into a mosaic of bricks and gaps, where the empty spaces provide the necessary visual contrast and pattern. Every now and then, round cutouts in the bricks make room for simple wall lights. 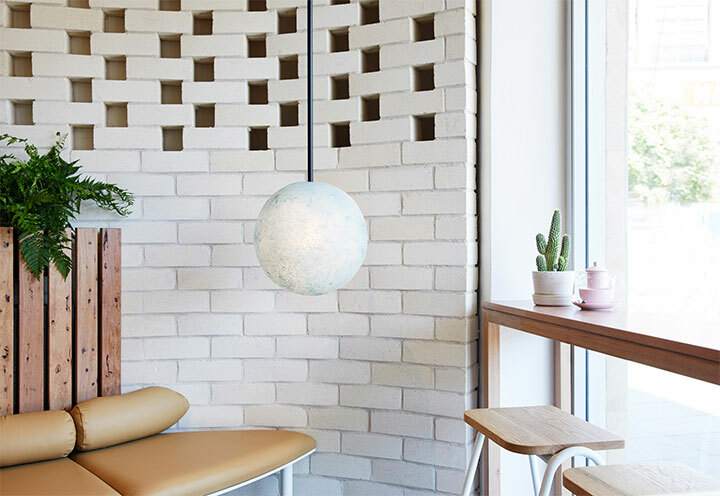 Single pendant lights with round filtering shades mimic their shape, in a design where different elements of decor work together to create a cohesive look. Set against this clean and crisp-looking sea of white and rectangular shapes, the tan furniture continues on the same theme of simplicity. Combining simple metal frames with round or soft-edged seats and table tops made of Tasmanian oak and reclaimed stringybark wood, the furniture has a relaxing, organic look. Bench cushions add texture and an element of softness to the space. Other wood elements are used throughout the store, whether to create a natural background for lush greenery, to provide shelving, or hide unsightly appliances with an ingenious structure of parallel wooden rods. 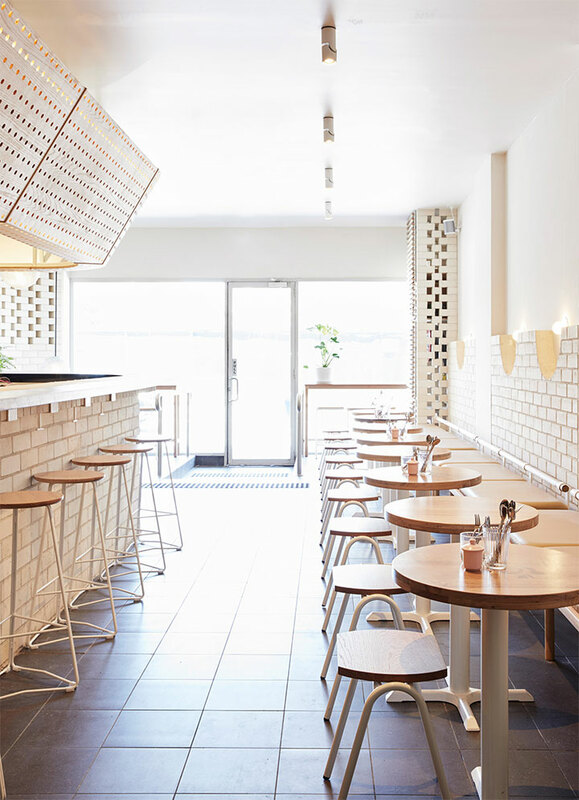 The timber construction gives warmth and character to other functional elements, from the dainty little stools that serve as mobile tables, to the large gantry placed above the bar, doubling as storage space and noise-absorbing element. The entire store interior seems to be a continual search for a fine-tuned balance between round and rectangular shapes. Little touches such as the delicate presence of pink bowls and sugar pots or cactus plants give the store a more intimate feel.